Experts confirm that even though there are lot of new ways with which you can market your business, email marketing always creates the most impact and engagement. Are you stuck with limited subscribers? Or unable to manage newsletters? Then today's freebie, the WordPress newsletter plugin is here to your rescue. This plugin fulfills all your subscribes, emails, marketing and newsletter related needs that too for both personal and business environments. Grab this useful plugin for FREE!! The Newsletters LITE version has all the features that the PRO version has but it has some limitations. You can have one mailing list, 500 subscribers, send 1000 emails per month and the custom dynamic fields are not available. These limits should be sufficient for a personal blogger or a small business. 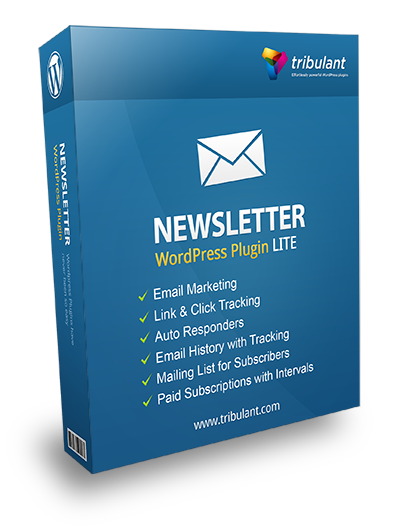 This all-in-one WordPress newsletter plugin can be configured to behave as desired and it will provide the best experience for your email subscribers at the same time. "I have literally tried and tested over 30 plugins, mailing programs and ESP’s to find a suitable mailing system (I send emails to 40 000+ double opt-in users 3 times a week). Not one suited all my demands, until I discovered Tribulant’s Newsletter plugin. This one has got all and more! Embedded pictures, personification of email, adding custom fields, scheduled sending, multiple mailing list, mailing directly from post/page, multiple language, sending with Amazon SES and handling bounced mails effectively and much much more. All at a very good price. 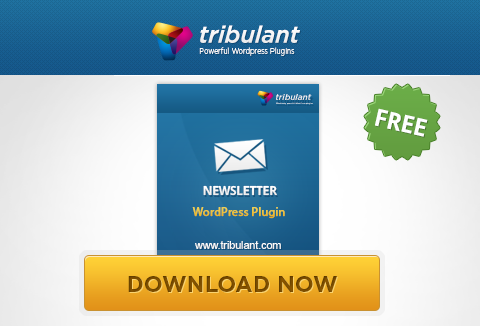 Ready to grab this fabulous WordPress Newsletter plugin for FREE today?